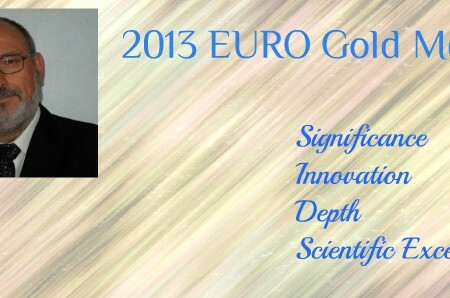 ROME, ITALY: Distinguished Professor, Panos Pardalos, has been awarded the 2013 EURO Gold Medal prize, bestowed by the Association for European Operational Research Societies. This medal is the preeminent European award given to Operations Research (OR) professionals. Prof. Pardalos was honored at the opening session of the EURO XXVI Conference in Rome on July 1st. The EURO association website describes the criteria used to select Gold Medal prize winners.